So the other day the UPS guy drops off a box addressed to me and I haven't ordered anything. I probably should have considered that suspicious (who knew what was in there? it could have been four kilos of uncut heroin or a severed human head). Inside was a pair of pants. I don't know how Dickies found me, but somehow they did. I never accept offers of promotions or giveaways from marketers, because usually they don't involve anything I'd ever be interested in using or promoting. 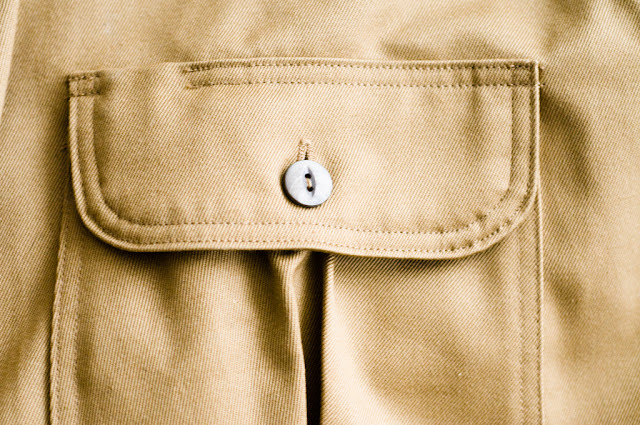 In this case, Dickies really had my number. The pair of Detroit 874 dark navy twill work pants with red stitching was made in the USA (and this pair was only a couple inches bigger than my actual size). 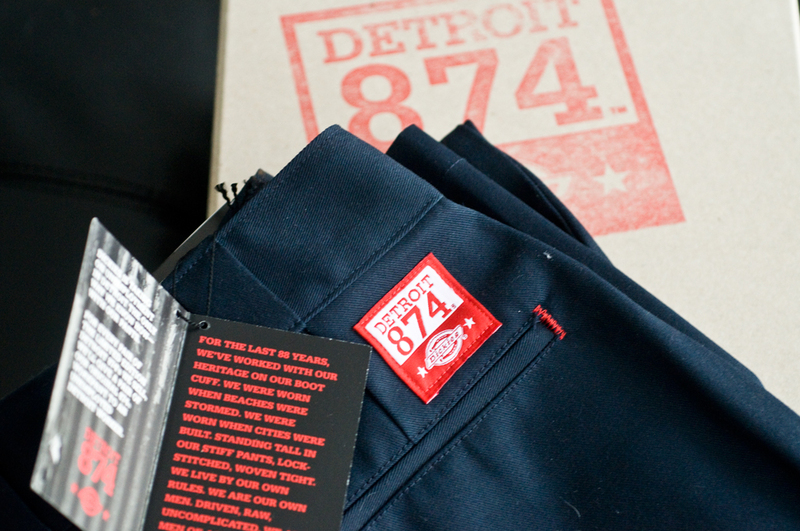 Inside the box was a form letter announcing the limited-edition Detroit 874 Work Pant Program. 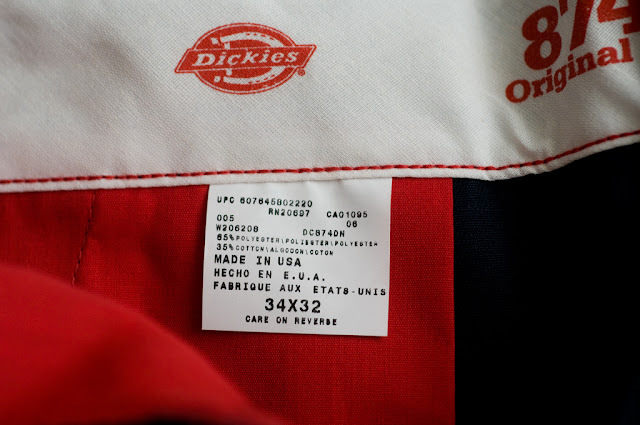 According to the letter, for every pair of Detroit 874s sold, Dickies is donating a pair of its original 874 work pants to The Salvation Army of Metro Detroit to help workers in need. And if ever there was a community that needed help, it's this one right now. They launched the program with an initial donation of $25,000 and 5,000 pairs of new 874 work pants. Even though I don't ordinarily do this sort of thing, I thought that was pretty cool and felt compelled to share it in this space that I have used in the past to promote Detroit's history of workwear brands and other clothing Made in the USA. For more information, check out the program website. 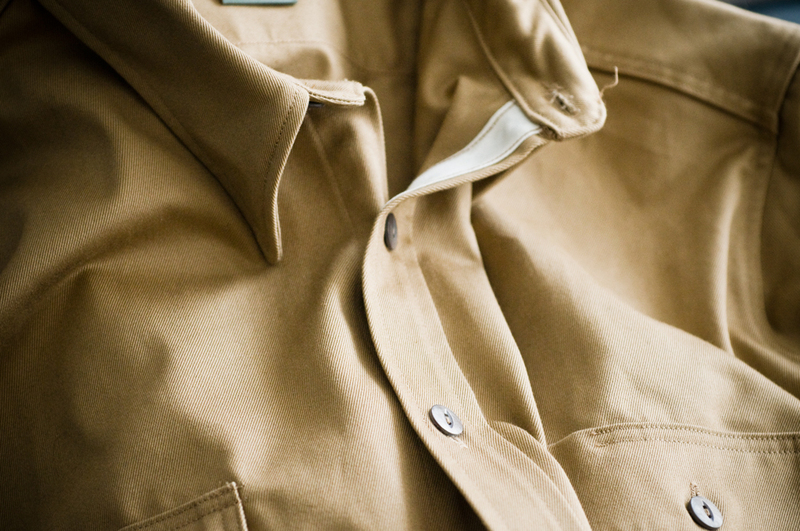 If only Dearborn-based (and Detroit-founded) Carhartt would do something similar! 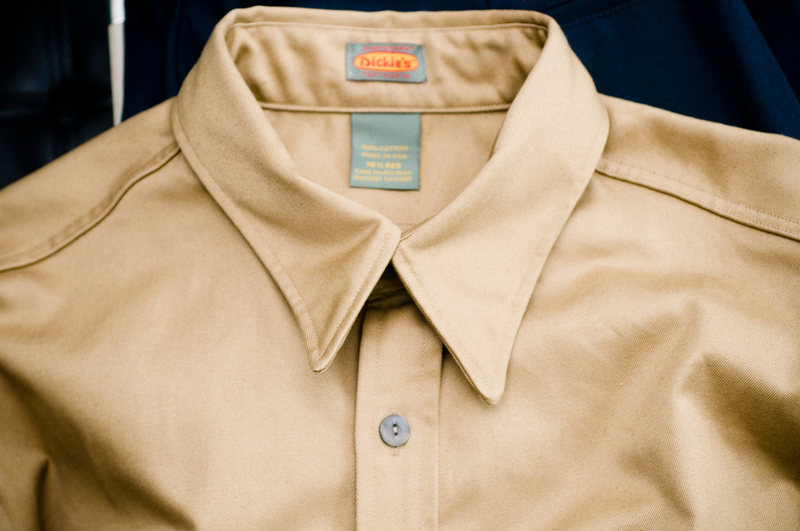 The clothes in this collection were made in Uvalde, TX by some of Dickies' "most experienced operators, using techniques and materials taken from the oldest garments we have, a shirt and pant that were originally purchased in 1933."